After 35 years of experience in the balancing and vibration analysis fields, Larry Revis decided it was time to start his own shop, where he could have complete control over the quality and service offered. Frustrated with businesses that only worry about how much time is spent on a job and charge outrageous prices, he made it his goal to start a small shop, offering the highest quality of work, and fast service, at a fair cost to the customer. 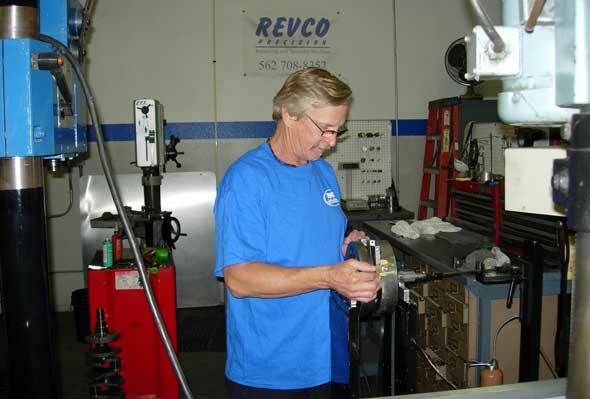 Larry founded Revco Precision in the fall of 2006 in Long Beach, CA, and concentrated on balancing services, vibration analysis, and specialty machine work, all related to the internal components of engines and machines. After only one year in business the formula proved successful, giving Revco the opportunity to move into a larger location to handle the increased volume of customers. Still considering themselves a small operation, they are proud to have earned the reputation of being the best in the business, always giving fast service, at a reputable price. Revco can achieve this by concentrating on specialty work. They don’t machine blocks, heads, build engines, or sell large volumes of parts. Their experience, large supply of specialty tooling, and specific built machines, allows them to perform most jobs in a fraction of the time it takes for most shops that “ do it all”, thus cutting the cost to the customer. Their list of customers from over the years reads like a “Who’s Who” of racing including American, Asian, and European auto makers, and professional race teams from Motorcross, Nascar, to Top Fuel. Larry can often be spotted at the local tracks, working on cars and cheering on many of the teams and drivers he has come to know over the years.